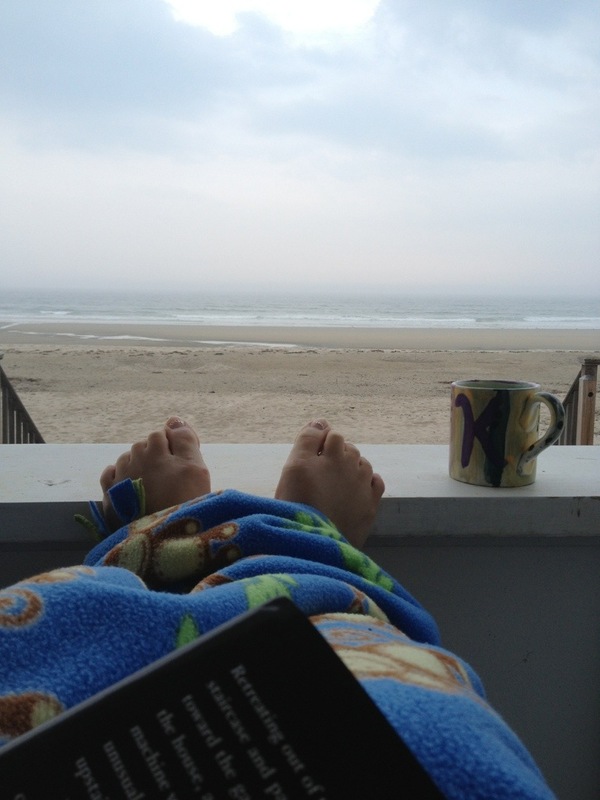 Alone at the cottage for a few hours with my book, my blankie, my coffee, the mist and a lively surf. Heaven. Doesn’t get much better than that.. Enjoy the peace and solitude. Looking out from your view reminds me of running (as a kid) in the cool wet sand on Long Island. My favorite smell with that mist hitting my face, the lapping sound of the water. Wow. My kind of vacation. Good food, books and quiet!